Instagram has launched IGTV; this will be an app on its own and also available within Instagram. Kevin Systrom, Co-Founder & CEO of Instagram announced the launch of their "most exciting feature to date" on the Instagram blog, while also celebrating reaching one billion users! IGTV allows users to watch long-form, vertical videos. Videos within the stories function on Instagram are limited to one minute, IGTV enables users to upload content of up to one hour. Creating tough competition for YouTube who currently dominates this area online. Intuitive to use - IGTV is just like turning on the TV, it will start playing as soon as you open the app. You have the choice to swipe through videos categorised as 'For You' (based on your interests), 'Following', 'Popular' and 'Continue Watching'. How can B2B marketers use IGTV effectively? Instagram marketing has been a real opportunity for B2B and with users continually growing year-on-year IGTV will be another feature to embrace. 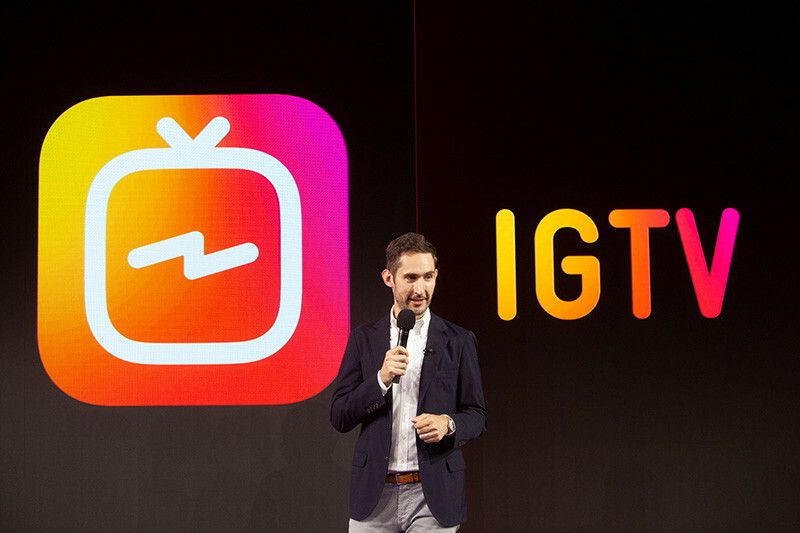 By creating a channel, businesses will be able to upload video content to IGTV with an all-important 'description' element which will allow clickable links to take people outside IGTV. This is an excellent opportunity for businesses to be able to show tutorials, in-depth product videos, interviews, tours of facilities, behind-the-scenes action and lots more. The videos do not have to be super polished, but they must be shot in vertical mode. I can see all sorts of #DigitalMarketingSolutions using the new IGTV! I'm looking forward to this! Ingstram is becoming "YouTube"